I tested Alpinestars' T-GP Plus RV2 Air jacket (RRP £199.99) and Ramjet Air pants (RRP £169) over three months, covering 1750 miles. Apart from being freezing cold on a bike, there aren’t many things worse than getting overheated. Up until now, I’ve essentially used the same jackets all year round – removing any winter lining and opening vents when the summer arrives. However, when it’s really hot, most vents aren’t big enough to have any real affect. 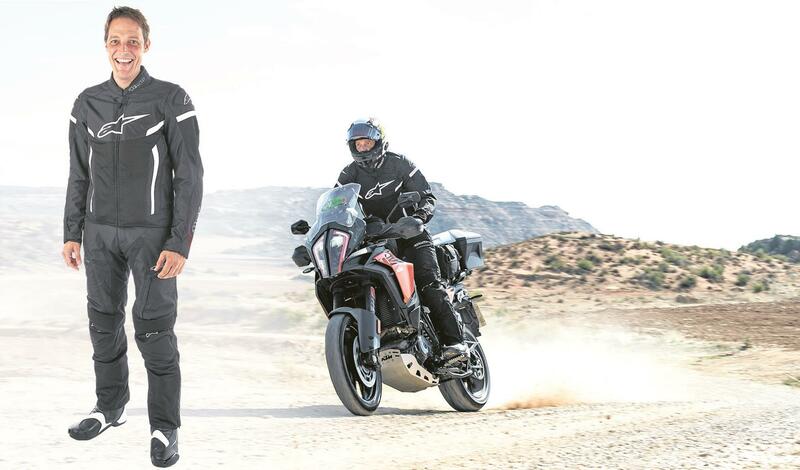 Prompted by some of the scorching days earlier in the year and a recent trip to Spain in September, I tested Alpinestars’ latest summer offering. Unlike most jackets that rely on vents for any meaningful cooling, the entire T-GP Plus R V2 Air jacket and Ramjet Air pants are made of highly vented material, which means the level of airflow is on a completely different level. It’s a well-tailored, super-light suit, that fits well, looks smart and is now a valuable item of my riding kit. Although it’s aimed at hot weather and the venting is so good, I have also been using it in Autumn – combatting the lower temperatures by wearing windproof base layers underneath. For a hot weather set-up, there is not a lot to fault. By its very nature, being so light and vented makes it feel thin compared to the kit I usually wear. However, it does still have armour in the knees, elbows, shoulders and back. It really is designed for good weather and, as a result, it’s not waterproof, so you need to carry an over jacket. The briefing: are air-cooled bike like this doomed?